The Talking Heads’ 1985 hit ‘Road to nowhere’ provided a rather entertaining, if somewhat bleak, perspective on the futility of life: we are born, we live and we die. While we don’t necessarily agree with the song’s sentiments, it does appear to be an apt metaphor for the one-dimensional thinking of those responsible for delivering Chinese President Xi Jinping’s Belt and Road Initiative. The BRI involves the construction of land routes (Silk Road Economic Belt) and sea routes (21st Century Maritime Silk Road) that will provide global economic opportunities, including access to markets, through faster, more secure and more affordable transportation. While the BRI is rapidly taking shape, little is being done to understand the unintended consequences of the greater regional and global connectivity it will bring. Those involved in illicit drug markets, for example, also look set to enjoy the BRI’s benefits. These actors will leverage BRI security vulnerabilities, creating new drug markets and supply chains, and perhaps even reducing the cost of shipments. For ASEAN, a region on the brink of a methamphetamine epidemic, more needs to be done to mitigate these risks. Between 2006 and 2016, methamphetamine seizures in Southeast Asia rose from 29.65 tonnes to 113.28 tonnes. In 2015, the region overtookCentral and North America as the world’s methamphetamine hotspot. In the first five months of 2018, authorities in Myanmar, Indonesia, Thailand and Malaysia all reported record-breaking methamphetamine seizures ranging from 700 kilograms (Thailand) to 1.6 tonnes (Indonesia). The combined total from the Myanmar, Indonesia and Malaysia busts is already more than the total amount seized in the region in 2017. While those statistics alone can’t be taken as a measure of increased methamphetamine trafficking, the combination of relatively stable purity levels and price drops indicates that the increased seizures are not affecting the market. As the BRI improves trade and infrastructure throughout the region, illicit drug trafficking in, and through, ASEAN countries looks set to increase. The BRI consists of six planned economic corridors, including a China–Indochina corridor crossing Myanmar, Laos, Vietnam and Malaysia and ending in Thailand, and a Bangladesh–China–India–Myanmar corridor. Some of them, such as the China–Indochina corridor, overlap with established economic routes in the Greater Mekong Subregion (which includes Vietnam, Cambodia, Laos, Myanmar and Thailand). They also overlap with established trafficking routes and transit hubs—demonstrated by the helpful maps in the UN Office on Drugs and Crime’s World drug report 2018. 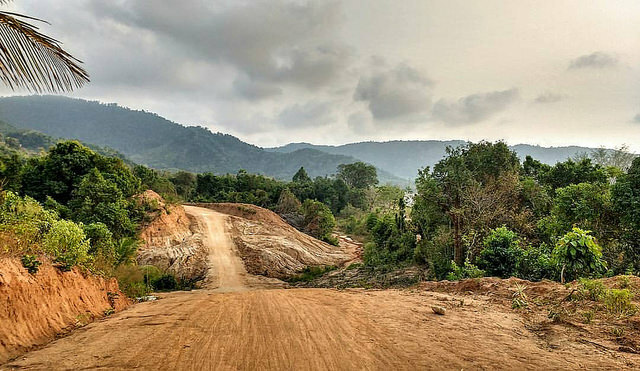 In areas where the BRI corridors and the Greater Mekong Subregion routes don’t connect, new transportation infrastructure will link the Chinese markets with new trading partners. It may also link one of the world’s major sources of precursor chemicals with new markets. The pharmaceutical industry in China, valued at US$122.6 billion, is the second largest in the world(behind the US—valued at US$380 billion in 2016). Unlike America’s, China’s pharmaceutical industry is characterised by mass production, limited regulation, poor compliance management and inexpensive generic drugs. China is also the world’s largest chemical producer and exporter. Its non-pharmaceutical companies supply approximately one-third of the world’s chemicals. Most of these chemicals are legally produced and exported, but limited governance results in the diversion of precursor chemicals into the illicit market along the length of global supply chains. This large and under-regulated industry base has helped make China the largest supplier of precursor chemicals for the production of illicit synthetic drugs. The BRI also extends west towards Europe, through the China–Central Asia–West Asia economic corridor, linking China to its western neighbours. While there have been limited methamphetamine seizures in central Asian countries to date, the BRI could in time provide the necessary infrastructure to access new markets in Kyrgyzstan, Uzbekistan, Tajikistan and Kazakhstan. Or it could open new fast and secure trafficking routes to the highly profitable European markets. Addressing the emerging law enforcement challenges created by the BRI requires regionally coordinated responses. The UN Office on Drugs and Crime seems to be the most appropriate mechanism to work with ASEAN member states, through their various regional forums, to develop a detailed assessment of the security vulnerabilities of the BRI. That assessment will be critical to identifying and prioritising regional mitigation strategies to reduce supply and demand and minimise harm. More immediately, the region needs to deal with the possibility of a methamphetamine epidemic hastened by the increased availability of high-purity, low-cost illicit drugs. ASEAN needs a coordinated methamphetamine strategy—fast. In both the short and medium terms, Australia has much to offer its regional partners. Three areas that come immediately to mind are sharing our experience with national illicit drug strategies, assisting in the development of border control policies, and improving criminal intelligence sharing. In ‘Road to nowhere’ the Talking Heads told us, ‘We’re on the road to paradise … Here is where time is on our side’. However, when it comes to the BRI and ASEAN, time is running out. John Coyne is the head of the border security program and Rebecca Moore is a research intern at ASPI. Image courtesy of Flickr user Basil & Tracy Brooks.